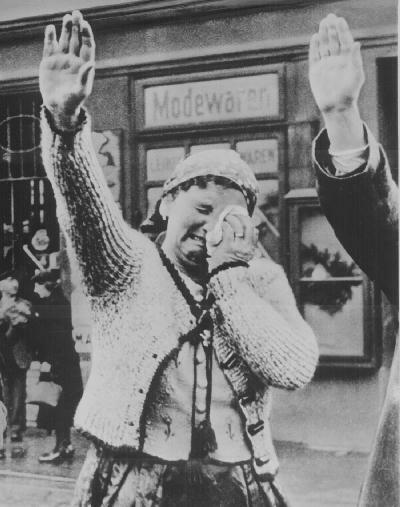 Hitler Seizes Control of the Sudetenland! In his fight for power, Hitler and his army were to conquer many lands and take control of their unlucky peoples. Within this rampage, the Sudetenland was but a simple step. It was an area of Chechoslovakia in which 3 million people lived, mainly Sudeten Germans. A great many of these Germans became Nazis and strongly supported Hitler's acquisition of their home on October 15, 1938. Herschel Grynszpan, a Jew living in Paris, shot and killed a German officer in response to the horrifying treatment of his parents at the hands of the Germans. Hitler and his Nazis used this event as an example to all of what the "dangerous" Jews were planning to do to the master race. 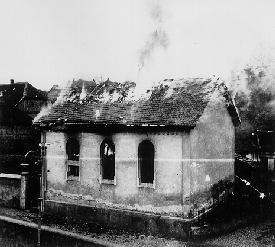 On November 9, 1938, the Nazis staged a massive attack on Jewish synagogues, buildings, businesses, and Jews altogether. They brutalized, tortured and killed Jewish men, women and children, while an enormous amount that was not killed was sent to concentration camps. 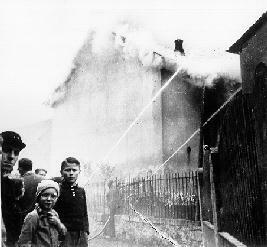 This murder rampage that lasted throughout the night and into the next day has become known as Kristallnacht, or the night of the broken glass.